The SkyWest customer service team in Lewiston, Idaho (LWS) is giving back to the community this season by donating their time at the Idaho Food Bank. 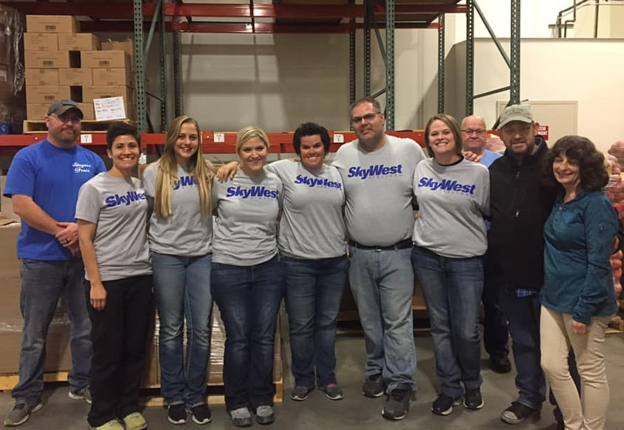 The team of 11 leveraged their teamwork to categorize and assemble food, sorting over 2,300 pounds of food during their first visit. 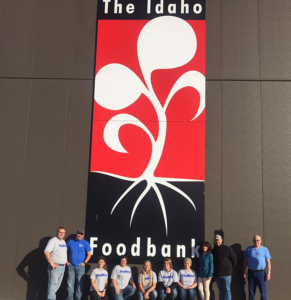 While they’re generally working together to provide exceptional service, load bags and marshal aircraft, this group of agents put their teamwork skills together in a different way: helping to feed over 1,695 people across Idaho. The team has already scheduled their return to the food bank in November, December and January and are looking to find more opportunities to serve in the coming months. Great job team LWS! If you are interested in joining a team like the one in LWS, click here.